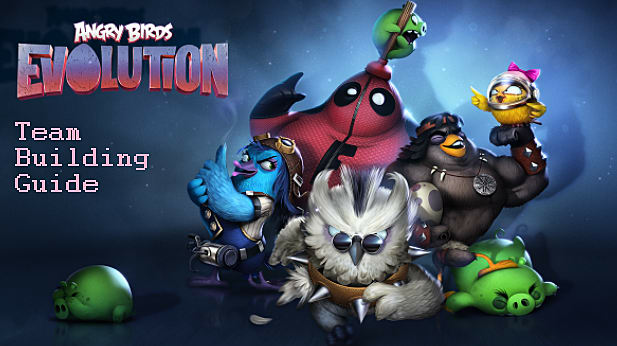 Whether you can't get past a boss or are simply not doing well in PvP, we can help you build the best team possible for Angry Birds Evolution. There's more to having an effective team than just leveling your birds (though that helps!) and if you don't strategize your team building process, you will lose out on gold, evolution material, and, most importantly, time. While the game may seem simple on the surface, team building is surprisingly complex. Resources are hard to come by and you will have to plan your teams in advance if you want to truly succeed. Where do angry birds even come from? Eggs, of course! 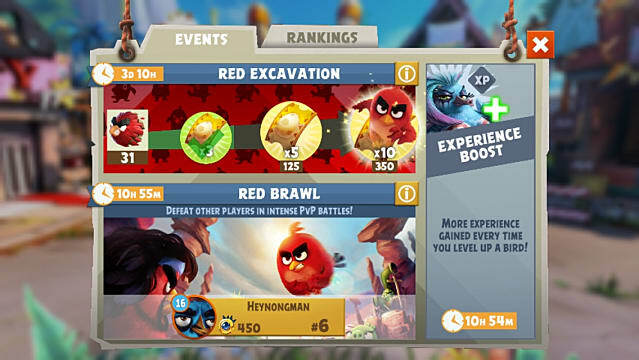 You will earn eggs in Angry Birds Evolution through battle, and you can also purchase them in the hatchery with gems or by using tickets. Farming for eggs is a crucial part of team building, as the birds themselves can be used as resources. You consume other birds when leveling a character, and you can also sell any extras you have left over for gold and evolution material that corresponds to its level and star rank. After hatching your birds, you'll notice they have a star ranking. The star ranking is both an indicator of rarity and of bird power. 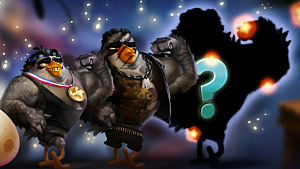 One-star birds are the most common, and five-star birds are the rarest in Angry Birds Evolution. Bird power is the value that determines how strong your bird is. The higher the number is, the better your bird will do in battle. To have an effective team, you must get your team's bird power level as high as possible. 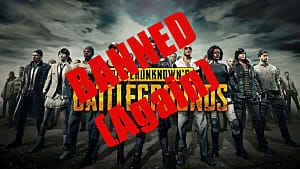 Leveling up is a crucial part of any game with RPG elements, and Angry Birds Evolution is no different.. Leveling up will increase your bird power. You can level up by editing your team and going to the level up tab. There you can consume other birds to enhance the character you've chosen. 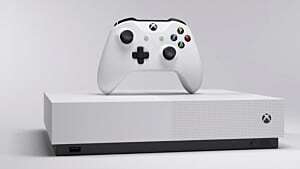 Leveling up costs gold, and gold is rarer than you think. 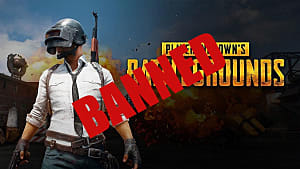 You'll be broke if you waste gold on leveling up the wrong way. If you want to level your characters effectively, you will want to focus on three-star and up birds. 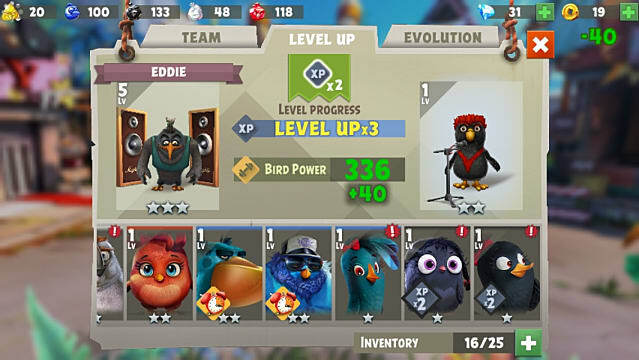 Leveling birds with only one or two stars will help you at the very start of the game, but it will put you behind in the long run as you won't have the gold necessary to level up your more powerful team members. Not only that, but matching colors is essential for effective leveling. If you do not match colors in Angry Birds Evolution, you will miss out on a 2x exp boost (see picture above). By leveling characters of the same color, you cut your leveling time in half. Events change frequently, so you have to check them often. But sometimes there are experience boost events where you will get 2x experience boosts every time you level a character. If you time it right, you can use shiny birds of the same color during experience boost events for 6x exp when leveling your birds to save as much gold as possible. 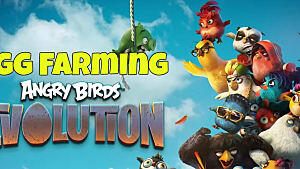 Evolving the birds on your team in Angry Birds Evolution requires a considerable amount of evolution material. Evolution material can be obtained from battles or from selling birds. In battle, you will get the evolution material of the color of whatever area you're fighting in -- so if you're in the yellow pyramid area, for example, you'll get yellow evolution material. When selling birds, you get the evolution material to match whatever that bird's color is. 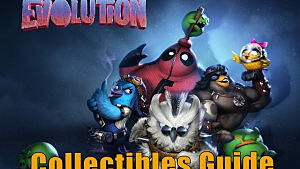 You need a lot of evolution material, because the cost will depend on how many times a character has already been evolved, as well as star rank. Since evolution material is even harder to come by than gold, only evolve three-star+ characters! Otherwise, you'll get stuck further into the game with your one-star evolutions and zero material! 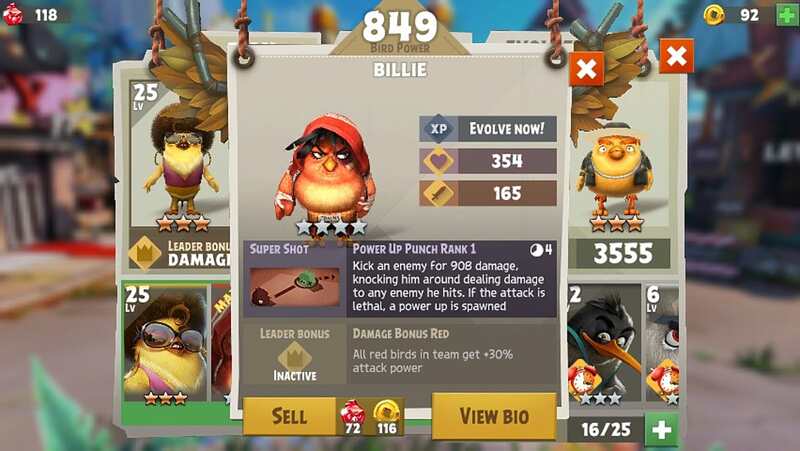 When selling and using birds for leveling, there is a trade off. Birds with higher stars sell for more, but also give more experience. When selling a two-star+ bird, you have to consider whether more gold and evolution material are worth losing out on the bonus experience. If the bird you're leveling is a higher rank, it'll have a higher gold cost for leveling. It might be more cost-effective to use two-star+ birds, but you might need the extra gold you get from selling higher ranking birds to level up your team members. This is why planning and budgeting resources is important in Angry Birds Evolution! If you've played Angry Birds Evolution for more than a few minutes, you'll know that every bird has a super shot based on their color. But did you know that super shots vary by bird? In the picture above, Gloria, a yellow bird, tags hit enemies with a 40% damage boost for the following turn. Fellow yellow bird Cletus's super shot doesn't give a damage boost, but instead leaves a fart trail that stays for two turns and does 25 damage to whoever enters or stays in it. There are a ton of different types of super shot abilities, and each one has its own merits -- so you will want to build your team around your battles. 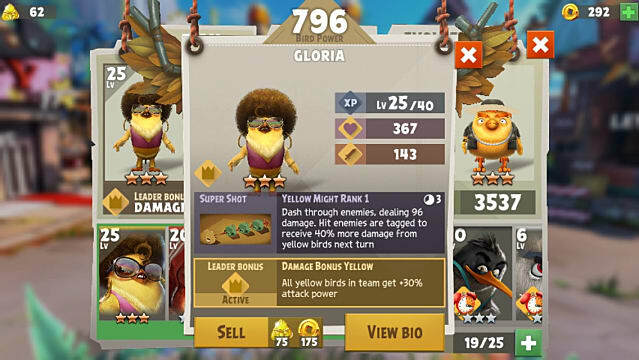 If you have a team that has mostly yellow birds, Gloria's super shot will be valuable. But if your team only has one or two, it'd be better to stick with Cletus. Leader bonuses are an unlocked once you reach the white mountains in the storyline. These bonuses vary, but most of them are +30% attack power for birds of the same color. If your team has two or three birds of the same color, make sure to set one of them as the leader -- otherwise you will miss out on this crucial bonus. What team are you using right now? Who's your favorite member? Let me know in the comments! 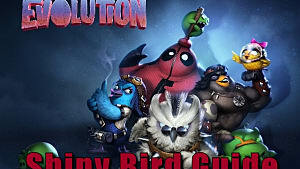 And be sure to check out the rest of our Angry Birds Evolution guides to stay ahead in this pig-smashing game! 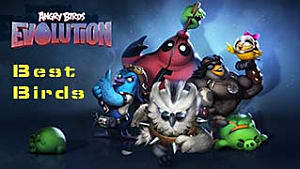 Angry Birds: Evolution -- All Birds List!